The Boating Access Grant Program provides 75% matching fund grant assistance to construct new, or renovate existing, public boat ramps that provide public access to public waters for recreational boating. The State Boating Access Program receives funding from the Federal Aid in Sport Fish Restoration Act. Funds for the federal program are derived from the federal gasoline tax generated by sales of gasoline for recreational motorboats and a federal excise tax on the sales of fishing tackle and trolling motors. Fifteen percent of the state’s annual apportionment from this federal program must be used to provide public recreational boating access. 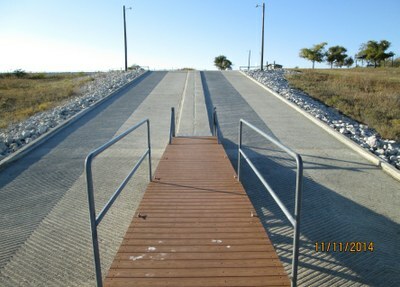 This grant program provides 75% matching grant funds for the construction of public boat ramp facilities throughout Texas. Local government sponsors must make an application, provide the land, provide access to the proposed boat ramp, supply 25% of the development costs, and accept operation and maintenance responsibilities for a minimum 25-year period. Program assistance will be in the form of a one-time grant, and the local sponsor must be willing to assume all maintenance responsibilities, including grass mowing and weed control, litter/refuse pick-up and removal, signage maintenance, security surveillance, plus necessary repairs and renovations, as needed, to insure public use and safety. These funds are allocated annually through the federal Sport Fish Restoration Act. The deadline for this program is October 1st each year. All applications are reviewed and scored by an internal committee consisting of Inland Fisheries, Coastal Fisheries, and State Parks. 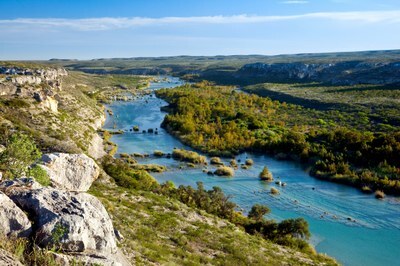 Sponsors requesting assistance for new boating access facilities must submit an application to the Texas Parks & Wildlife Department and have it approved prior to any construction activities for which assistance is requested. The maximum amount which may be requested for assistance is $500,000 in matching grant funds. Recommendations to fund individual projects are typically announced sometime during May of each year. This is a reimbursement program, the sponsor is required to initially pay for project expenditures which later are to be reimbursed by the State. It will be necessary for the sponsor to keep careful financial records and submit adequate proof of payment to receive reimbursement for eligible project expenditures. Due to the utilization of federal funds for this program, the State and sponsors will be required to meet financial standards of The Department and we will reimburse a sponsor up to a 95% of the grant amount until a final inspection and audit are completed. (5% of the grant amount will be withheld pending final inspection and approval of the project. ).